The Vermont Legislature is widely expected to reconsider a tax-and-regulate system for recreational marijuana sales. Mass. Pot Sales Bring Sense of Urgency to Vt.
With the start of recreational marijuana sales in Massachusetts, advocates say it's time for Vermont to follow suit. This week's start of recreational marijuana sales in Massachusetts is expected to become a topic of discussion in Vermont in January, when the Vermont Legislature gets back to work. For several years, Vermont lawmakers have been debating whether to authorize taxed-and-regulated pot shops. With legal sales happening in Massachusetts, advocates in neighboring Vermont say now’s the time for progress. "We want this to be a viable industry for Vermont, just like craft beer is, just like cheese, just like our other value-added agricultural products," said cannabis reform advocate Eli Harrington. Harrington applauded Massachusetts for this week's launch of retail sales of recreational marijuana at two stores, in Leicester and Northampton. Currently, Vermont allows medical marijuana sales, the possession of small amounts of recreational pot, and home-grown plants for personal consumption. However, lawmakers' attempts at a taxed-and-regulated retail system for recreational use have fallen short. Harrington said he believes Massachusetts could serve as a model for how Vermont may approach sales policies, such as licensing, distribution, packaging and quality control. "Every day that goes by that legal, taxed, tested, regulated cannabis is sold over the counter within a one-to-300-mile drive of Vermont is a day that Vermont is missing out," Harrington said. The Vermont Legislature is widely expected to take up the topic again. The Vermont Senate already passed tax-and-regulate legislation three times, although those bills did not become law. Sen. Tim Ashe, D/P-Chittenden County, tweeted after those Massachusetts pot shops opened, saying "Vermont should be next." In his tweet, Ashe eyed tax revenues from marijuana sales for public health and safety initiatives. The Vermont House of Representatives has moved more cautiously on marijuana, but with 40 new members starting in January — many with a more progressive approach — there is a new dynamic. Democrats and Progressives now have a supermajority, which means they can block vetoes from Gov. Phil Scott, R-Vermont. Rep. Jill Krowinski, D-Burlington, the House majority leader, told necn the focus of her caucus is on building an economy that works for all Vermonters. 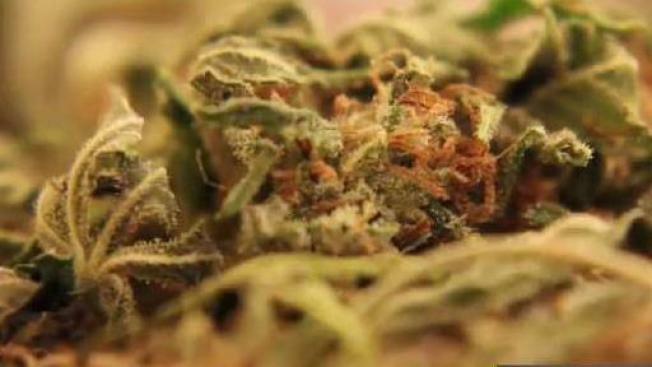 "Now that marijuana [possession] is legal in Vermont, it's important we evaluate what type of impacts it's having in our communities," Krowinski said in a written statement to necn. "As Leader, I'm listening to current and incoming legislators to hear what their priorities are including what they heard from voters about a tax and regulated system." Gov. Scott has long called for a focus on youth prevention and on public safety, specifically looking for more advances in roadside tests for drugged driving. "We have an obligation to make sure that we get this right," the governor said Wednesday in response to reporters' questions about marijuana at his weekly press conference. Scott added that he believes lawmakers from the other side of the aisle likely agree on the importance of public safety initiatives, and said he will welcome the opportunity to work with Democrats and Progressives to address his concerns. "I'm not saying 'never,'" Scott said of retail sales of recreational pot. "I just don't know what the hurry is." "Possession of small amounts of marijuana for recreational purposes is legal under current Vermont law, and the state police will continue to address marijuana cases under the context and scope of that law regardless what bordering states decide to do. The Vermont State Police again reminds people to avoid driving while under the influence and will aggressively enforce impaired-operation laws. VSP also will continue to investigate cases of possession and distribution that are in violation of state law."